BiT Evolution, from Major Games is about ready to leave Steam Early Access. The game stars a simple sprite named BiT who manages to escape his game and travel to four other worlds inspired by the 2D games of the 70's, 80's, and 90's. 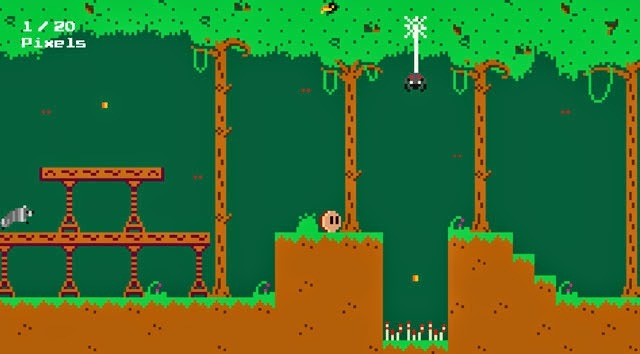 BiT traverses the world in typical platformer fashion, bopping on enemies heads to kill them and to reach higher platforms. He is also able to shift between worlds in order to discover hidden areas and get past certain obstacles. BiT Evolution is set to officially arrive on Steam for PC and Mac on June 9.